Last Thursday I’ve made my first purchase over at Amazon and was happily surprised it arrived today. That’s the fastest delivery time I’ve experienced from a webshop not located in my country! So kudos to that. 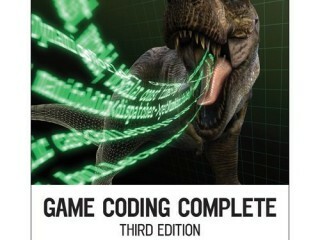 Game Coding Complete, 3rd edition was what got delivered at my house. I’ve only skimmed through some pages and so far I like what I see. It’s quite a big book with 908 pages so I’m afraid it’s going to take me a while to finish it. I ordered the book because although I’ve got quite a bit of programming experience, I don’t have much experience in programming games. Sure, I did a couple of small games and prototypes but never gotten much further than that. Since the author, Mike McShaffry, is quite the veteran I thought, why not learn from one of the best? The book has lots of examples and am eager to start reading it. I’m checking if my freshly installed Twit-update plugin works. If all is well it should have added a new tweet to my account. Now all you faithful followers will be updated when I post a new blog entry or edit one!